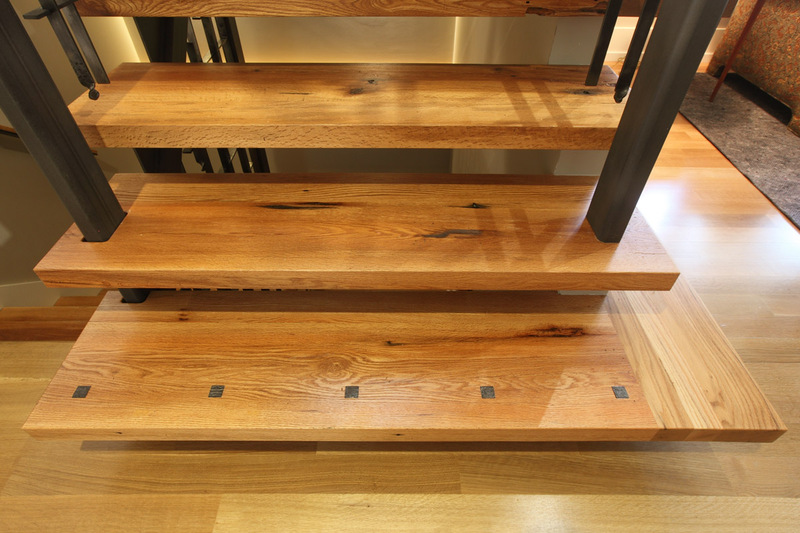 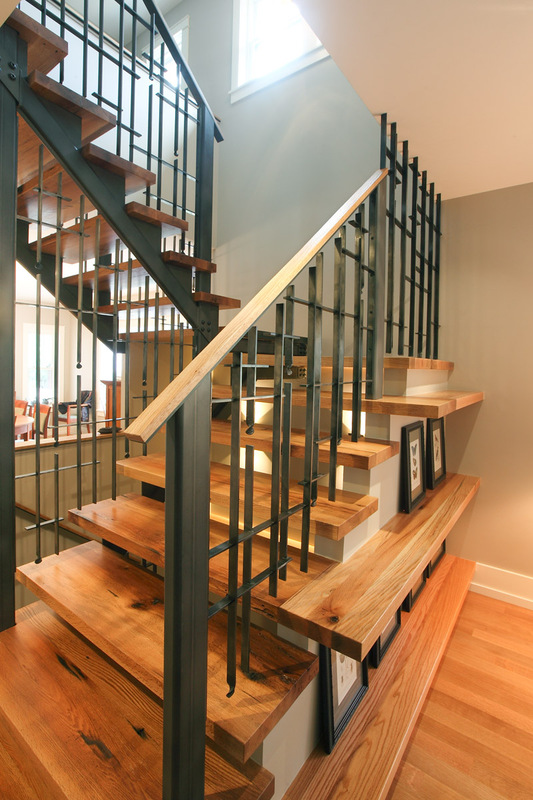 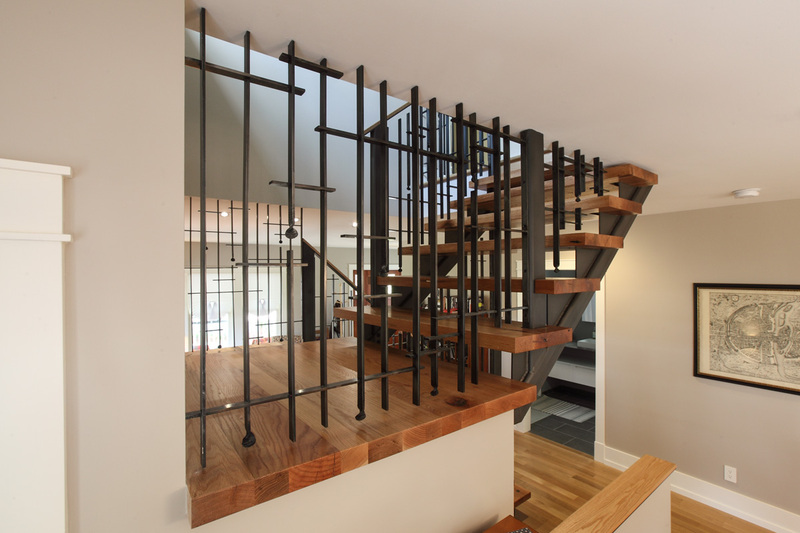 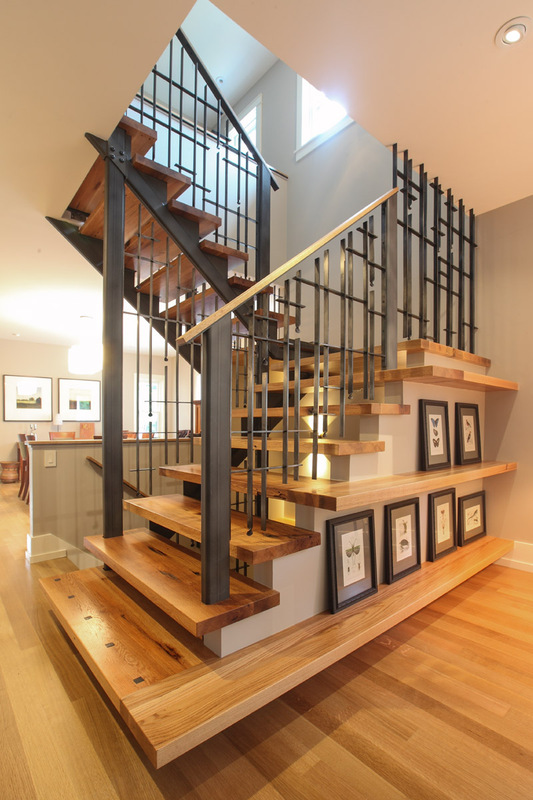 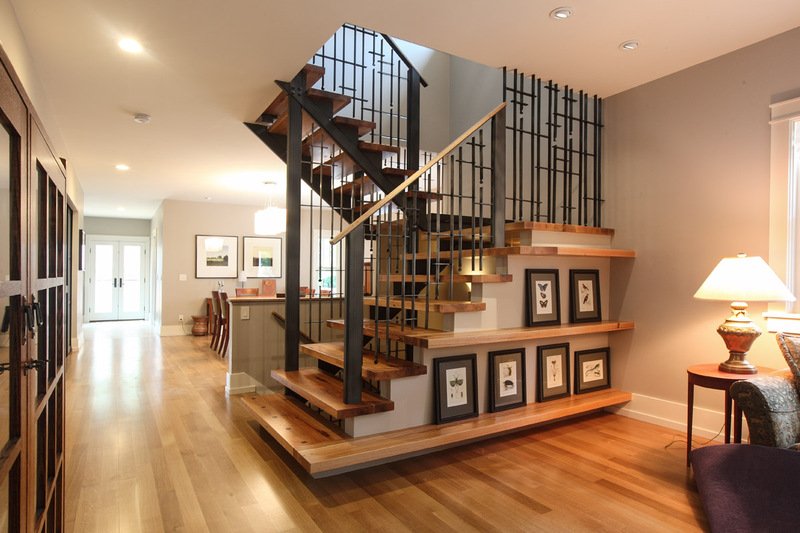 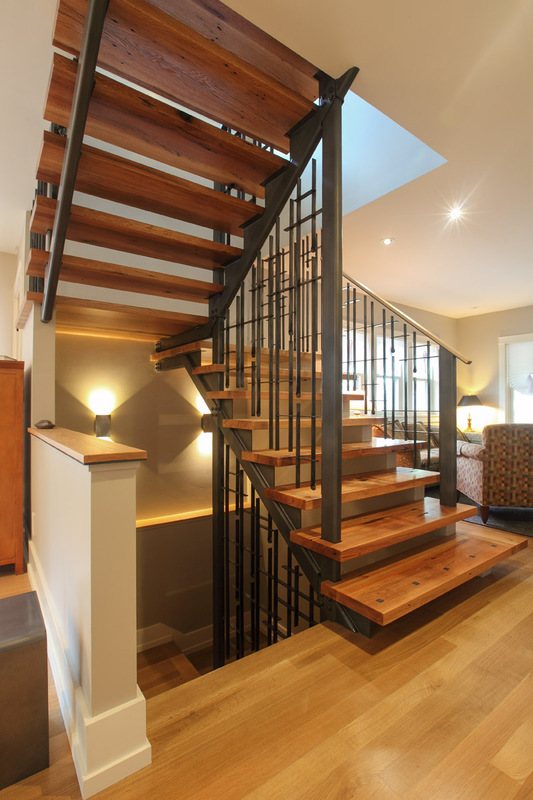 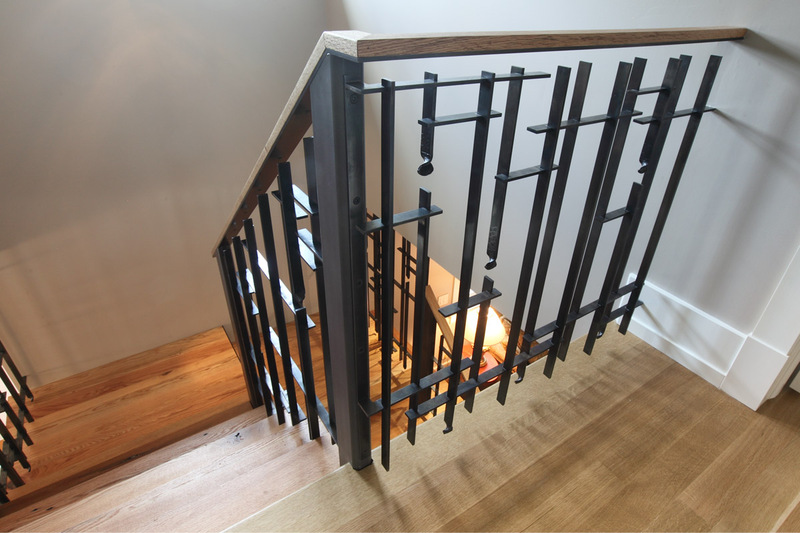 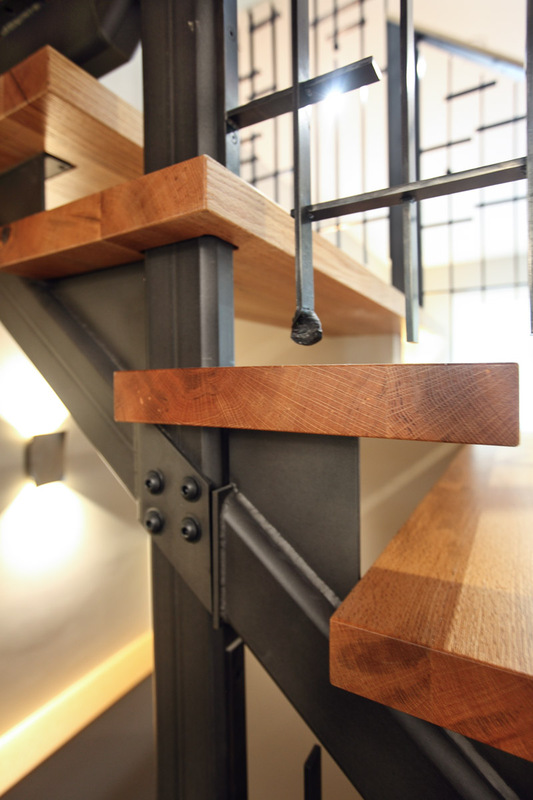 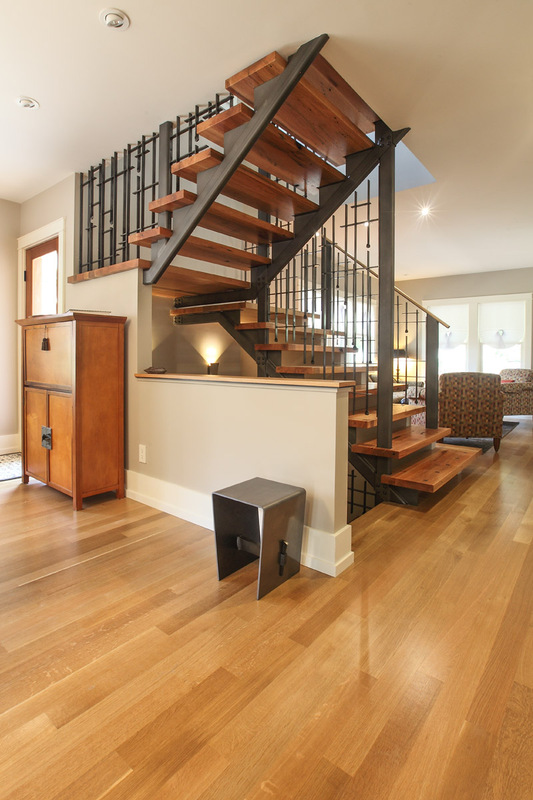 This three story staircase exhibits forged partition sections mated to fabricated structural members. 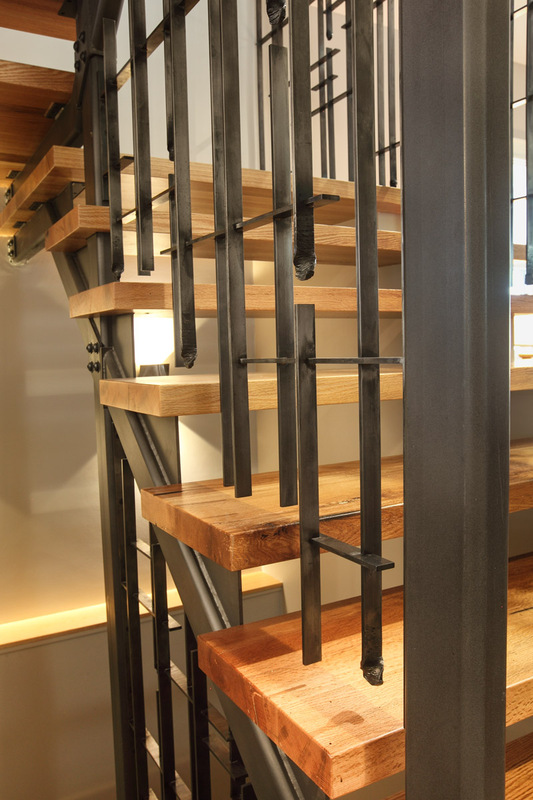 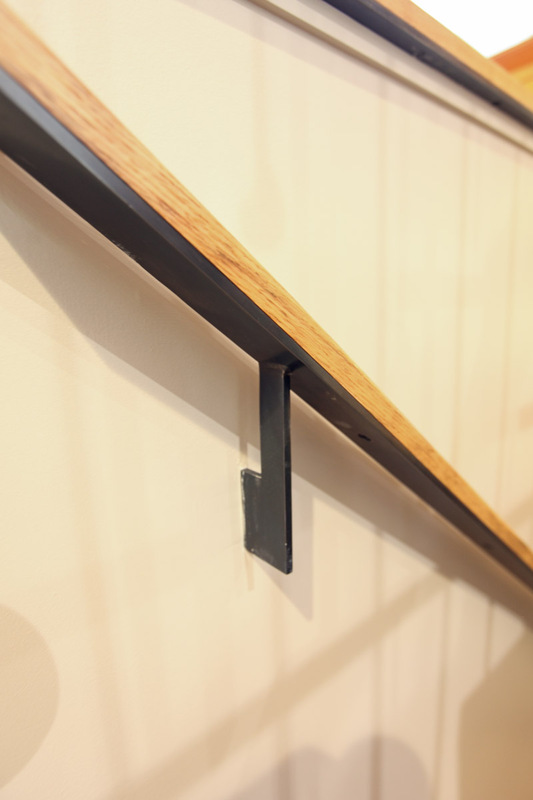 Floating tread design and articulate joinery support each section which contain offset vertical members and forged ends that provide the viewer with the feeling of a moving or dripping staircase as they move about the room. 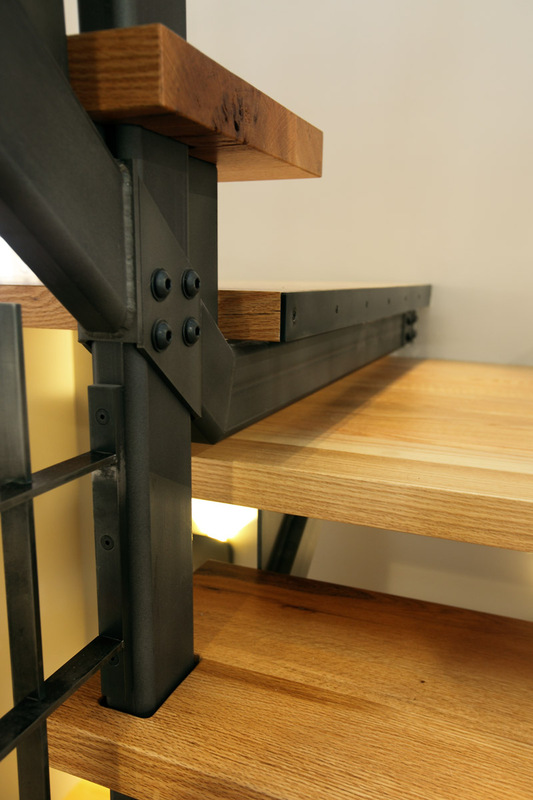 Structural members display a grey transparent powder coat finish with exposed and blind fasteners. 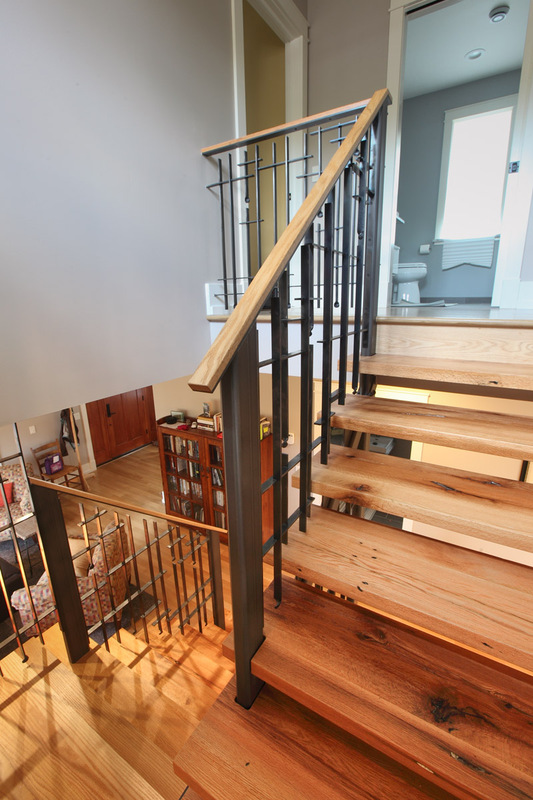 Partition sections are finished using a traditional hot wax process.